Pre- and post-migratory factors have been implicated in refugee children’s mental health. However, findings regarding their unique and joint roles are inconsistent or nonexistent. We examined the main and interactive relations of pre-migratory life stressors and post-migratory daily hassles and routines to emotion regulation—a key marker of mental health—in 5- to 13-year-old Syrian refugee children (N = 103) resettling in Canada. Mothers and children completed questionnaires assessing pre-migratory life stressors and post-migratory daily hassles. Mothers also reported their children’s adherence to family routines and emotion regulation abilities (i.e., anger and sadness regulation) via questionnaire. Overall, children who more frequently engaged in family routines showed better anger regulation. Pre- and post-migratory factors also interacted, such that greater post-migratory daily hassles were associated with worse sadness regulation for children with lower levels of pre-migratory life stressors, but were unassociated with the sadness regulation of children who experienced higher levels of pre-migratory life stressors. 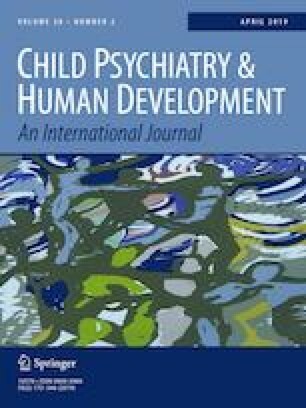 Results suggest that pre- and post-migratory factors play unique and joint roles in refugee children’s emotion regulation during resettlement. We are grateful for the children and caregivers who participated in the study, and for the research team for their help with data collection.